In his compelling novella “Reinventing Ralph,” Waid introduces the readers to Ralph, a salesman in his thirties who has come upon some bad times at work and home. 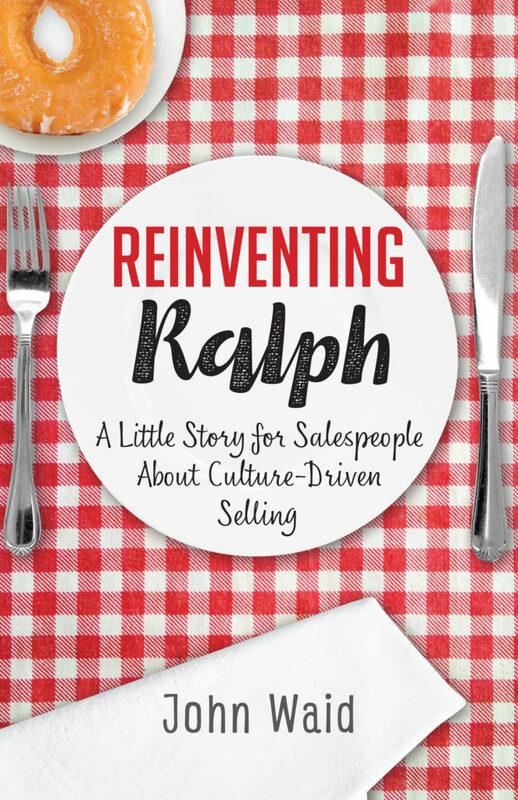 Ralph discovers three transcendent values that help him become a winning, culture-driven salesperson. Waid has 30 years of sales and sales leadership experience in Fortune 500 companies and twelve years of senior consulting experience in the learning and development field. The culture-driven selling theme of Waid’s books and speeches is in line with the management guru Peter Drucker quote, “Culture eats strategy for breakfast.” Culture is a combination of values, mindsets and behaviors that become habits in the greatest enterprises. 2. Prepare in Writing. Written preparation is 90% of success. 6. Think Relationship First. Build the relationship by mirroring behavior, tone, and volume. Learn to match the personality of the other person for better outcomes. 8. Be Likable. People buy from people they like, respect, and who deliver what they say they will deliver. Then they repeat the buying. 9. Invest in Sales Culture. Remember that values and behaviors of a sales culture are much more powerful than just sales processes or strategies. 10. Memorize CAP. Curiosity, accountability and people skills are three powerful values in selling. Memorize CAP and fill in the best practice behaviors from the list above and your own experience. Waid earned his MBA in International Business and is fluent in three languages which has allowed him to work in Europe, North, Central and South America. He started his own firm, C3—Corporate Culture Consulting, to work with leaders and their companies on their cultures.